Woodworking Courses: Looking for Wood Project Gift Ideas for the Holidays? The holiday season will soon be here, and that means that you have probably started thinking about what gifts you will give to friends and family this year. As a woodworker, you can get creative with your gifts, and The DIY Joint is here to help. We offer woodworking classes and an open studio for you to hone your craft, and this time of year is perfect for making beautiful gifts for your loved ones. Check out six wood project gift ideas below to help fuel your imagination and book your open studio time today! Everyone loves puzzles, including young children who are learning shapes and love bright colors. Toddlers develop their fine motor skills by learning how different objects fit together, which is why the classic shape sorter toys are such a hit. A unique wooden puzzle is a holiday gift that is sure to put a smile on any child’s face, and you can make it as easy or as complicated as you want. A board puzzle that has basic shapes like circles, squares, and triangles is perfect for a beginner woodworker, while more complex shapes are ideal for more advanced woodworkers. Is your spouse constantly trying to work the knots out of their chain necklaces because they don’t have a proper means of storing their jewelry when it is not being worn? Are you looking for a creative way of displaying a new piece of jewelry you are buying for your loved one? In either case, a wooden jewelry tree is a great idea! Your spouse will enjoy finally having a place to put the necklaces, bracelets, and rings they wear most frequently. Likewise, a handcrafted jewelry tree is the perfect gift to accompany a new piece of jewelry, and your recipient will appreciate the thought that went into such a personal gift. We all have that one person in our lives who can’t seem to buy enough books or magazines. Chances are, they have piles of books in every room because their bookshelves are overloaded, or they may have magazines strewn about because they don’t have a good way to store them. Why not craft simple bookshelves for the bibliophiles in your life? In addition to giving them the gift of organization, the bookshelf can double as a decor item. The DIY Joint offers a class on how to make a shelf like this — sign up for this woodworking class today before it is too late! Long ago, toys were often made out of wood to ensure they were durable enough to last no matter how rough kids were on them. Cheap plastic toys made today just can’t compare to the quality and craftsmanship of those made in the good old days. If the children on your shopping list aren’t too keen on puzzles, then why not create some kind of wooden toy for them to play with. 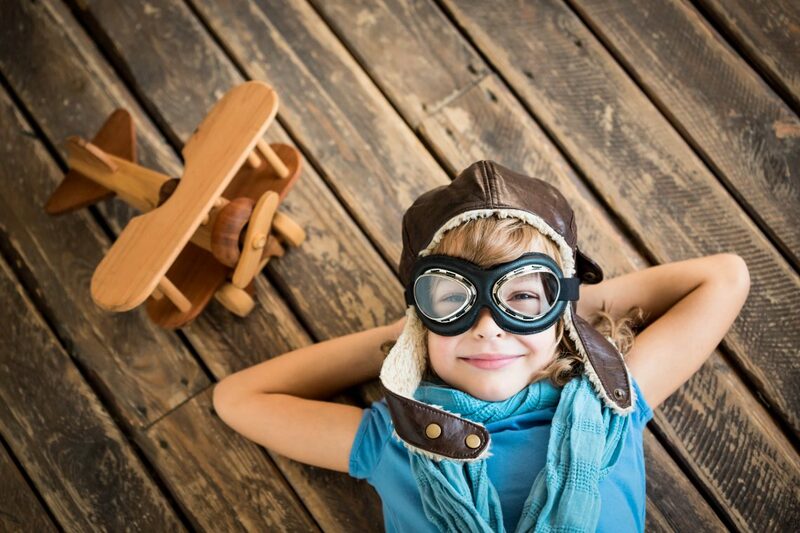 You could make a toy helicopter or a toy airplane. You could even make an elaborate wooden dollhouse if you are a more advanced woodworker, and there is no doubt that your recipients will treasure the toys for years to come. Do you have friends or family members who enjoy spending time on their patio during the summer? Maybe you know someone who could use a little extra seating during family gatherings? If so, you could give them the gift of a handmade bench or chairs this holiday season. Much like modern-day toys, today’s furniture isn’t made like it used to be, and high-quality furniture with solid joinery is hard to come by without breaking the bank. You can even finish the bench or chairs in a stain that matches the rest of their furniture so the gift blends in seamlessly to their existing decor. Decorating a home can be incredibly expensive. Even a simple piece of art or a nice print can cost a few hundred dollars, and even then, it might not be exactly what you want. Wooden wall hangings never go out of style, and they can be handcrafted to suit virtually every design preference. Even better, they are very easy and affordable to make, and you can even make them with reclaimed wood to score huge savings on materials. Beginning woodworkers might find that it is easiest to stick with wall hangings that are square, diamond, or octagonal, while beginner woodworkers might appreciate the challenge that a round piece presents. 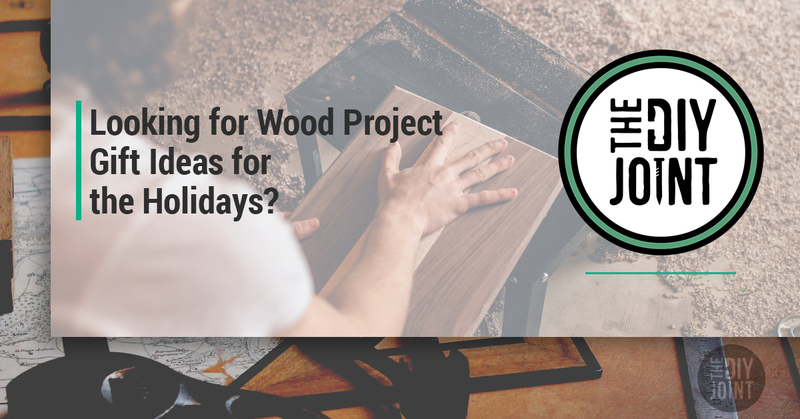 Bring Your Wood Project Gift Ideas to Life! These incredible ideas only scratch the surface of possibilities when it comes to wood project gift ideas for the holidays. Once you have figured out what you would like to give your loved ones this holiday season, don’t try to create your pieces in a cold garage or another informal workspace. Come to the DIY Joint! We have all of the amenities, tools, and equipment you need to create your one-of-a-kind pieces, and we offer a variety of woodworking classes that can help you fine-tune your skills for bigger and better projects in the future.